Our Research & Development department works closely with our design and manufacturing department to constantly improve existing designs and develop new products and technologies, which give our customers an extra edge in the market place. Extensive in-house Bench testing of new designs is integral to our philosophy of working as a long-term partner with our customers. Dantal is dedicated to the on-going development of its Research and Design Department in order to offer complete solutions to its customers. 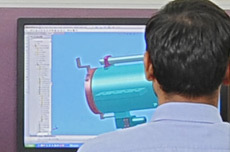 A dedicated in-house design team works on latest 3D modeling software like Solid Works, Product Data Management (PDMWE), and Cosmos FEA to ensure that every component is designed as per specifications. As the company adheres to quality standards and precision yardsticks, the designs at Dantal are approved by all leading OEMs. 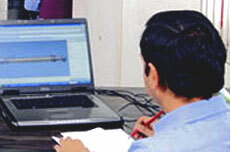 The in-house tool room takes care of the development and maintenance of various tools used in the manufacturing process.